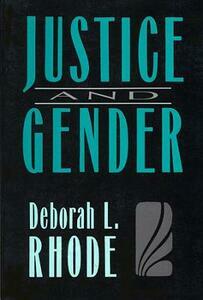 This is the first book to provide a comprehensive investigation of gender and the law in the United States. Deborah Rhode describes legal developments over the last two centuries against a background of historical and sociological changes in women's activities and attitudes toward these new developments. She shows the way cultural perceptions of gender influence and in turn are influenced by legal constructions, and what this complicated interaction implies about the possibility-or impossibility-of using law as a tool of social change.